Manna Cafe offers food box distribution and hot meals to those in need. KHS has dates assigned for students to volunteer. If you would like to volunteer there are opportunities at the food distribution centers on New Providence Blvd. and/or on Madison St. at Pageant Lane or at the Warehouse on East Franklin St. in downtown Clarksville. Please sign up directly on the Manna Cafe Ministries website. across from the former police station on New Providence Blvd. Volunteer to help build boxes to hold food and pantry items for distribution to those in need. Or you can with kitchen clean up after hot meal preparations. Help serve meals to those in need at the Madison St. and Pageant Lane distribution site near the Clarksville Public Library. How to Volunteer: Click the Button below! or with a group of your friends! and scroll to a date and location you prefer. Groups & Organizations are welcomed! You can sign up to help build food boxes, help clean up meal prep kitchen, and/or serve in one or both of the meal distribution sites listed above. See Mrs. Smith in the library to sign up. If you need to cancel or change your dates please let Mrs. Smith know immediately. Please try to find a substitute if you cannot fulfill your commitment. 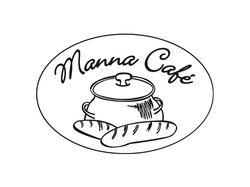 We don't want to leave Manna Cafe shorthanded on the date you signed up for! Don't forget to log in your service hours to the TNAchieves website!